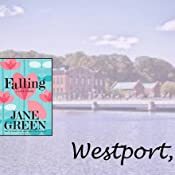 Falling is an astonishingly tender love story from the internationally bestselling author, Jane Green. Eight years ago, Emma Montague left behind the strict confines of her upper-crust English life – and rather dull boyfriend – and moved to New York City, where she immediately found success in the world of finance. But her soulless, cut-throat, all-consuming job has only led to another life she didn't want. Answering an online ad, Emma finds a tiny beach cottage to rent in the small town of Westport, Connecticut. It needs work – lots of work. But it's the perfect project to satisfy Emma's passion for interior design and gardening, if her new landlord, Dominic, is agreeable to the small changes she yearns to make. To Emma, Dominic is also something of a fixer-upper. A local handyman with a six-year-old son, he's a world away from the men she should be interested in, but he's comfortable in his own skin, confident, quiet and kind. Slowly, over a shared garden, time spent with his son and late-night conversations, Emma finds herself falling for Dominic. From friends to lovers happens as naturally as the changing seasons. But laying down roots doesn't come easily when two lives as different as theirs merge into one. And Emma will realize that the seeds of happiness must be nurtured and cherished to grow into something strong enough to shelter all their hopes and dreams . 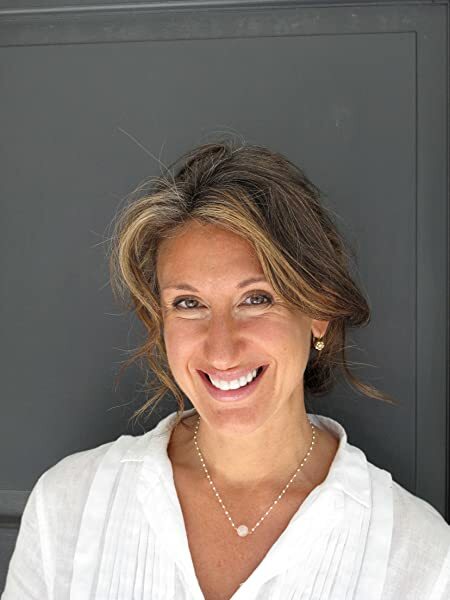 . .
From the Sunday Times number one bestselling author of Summer Secrets comes a novel about finding a home - and family - where you least expect them. Not sure what has happened to Jane Green. She used to be one of my favourite authors but I haven't really loved any of her books for years. Falling feels a little bit writing by numbers - although she obviously has a passion for interior design that shines through. Plot reminds me of a Saturday afternoon Hallmark movie but Jane's very readable style is still there. Will I keep on buying her books? Not sure - maybe I will just read the old ones like Straight Talking. I usually love Jane green. Her characters are usually really well written and it’s easy to get carried away in the ‘real’ emotion in the stories. However, this was very disappointing. The main character is weak, self centred and unlikeable. She enters a relationship with a single parent who is having quite a difficult time yet he always seems to be the one trying to make her feel better! Urgh. Just annoying. Very disappointed with this book ! 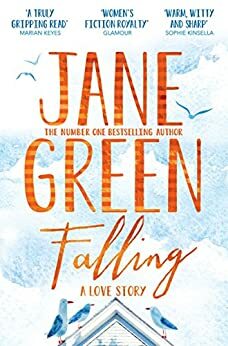 I'm a huge Jane green fan , but this was the beach house rewritten with some awfull other bits thrown in to add bulk to the book . come on Jane green write something new please ! Not my usual read. More detective, murder tales for me but totally enjoyed this one. Had everything to understanding people's hopes and dreams of change from their present life to something completely different. Wonderful that Emma achieved this found happiness then sadly had it snatched away. But the relationship with a young child helped face her grief and face life again. Wonderfully sensitively written. I’m not going to give away what happens, but this book made me cry and i’m a bit traumatised. You know how at the end of some episodes of Game of Thrones you are like “what? How could the script writers do that?”. I had the same feeling towards the end of this book. I mostly enjoyed the book, but i’m A little traumatised. Lovely book although the main character was sometimes a bit annoying - you almost wanted to shake her! The ending was not what I expected. All in all an enjoyable read! I read this story of falling in love with a feeling of impending doom - I wasn’t sure what the disaster befalling the characters would be, but I was sure it would happen. I was in fear for the kitten, who seemed to get abandoned at short notice whenever her owner wanted to go on a trip, and also for the slightly neglected little boy. Nevertheless, this was a delightful story of a woman making a new life, with many well-drawn characters, and a satisfying, unexpected ending. I particularly enjoyed the presence of Emma’s eccentric parents in the book. A very believable sort of story. The difficulties of stepchildren & 2 people from totally different walks of life. A very unexpected end. But I did feel it rambled a bit in places which is why 4 stars & not 5.